Jaundice is an unhealthy condition that results in decolorization of the skin and the white part of the eyes. Jaundice is also known as yellow fever and icterus. It may be the result of any underlying body complications. It is brought about by bilirubin that is a yellow substance responsible for the yellowing of the skin and the white part of the eyes. It is a waste substances circulating in the blood that does not get purged even after the decay of erythrocytes which carry haemoglobin and oxygen along the blood to the cells. In case of excess of bilirubin in the blood, results in the outbreak of the yellow color to the adjoining cells and tissues. The color depends on the varying levels of bilirubin. Scanty level of bilirubin results in yellowing coloring while excess of it results in browning of the skin and sclera. The function of the liver is to filter out waste from the body. Once the bilirubin gets inside the liver it joins the other chemicals when it is secreted in the form of bile and is then excreted out. This imparts feces its brown color. In the event of cholestasis when the flow of bile is prevented. An unharmful condition that causes decoloring of the skin and white of the eye due to excess of beta-carotene by increased intake of carrot, melons and pumpkins. Abdominal pain characterised a blockage of the bile duct. Urine in dark or yellow colour. 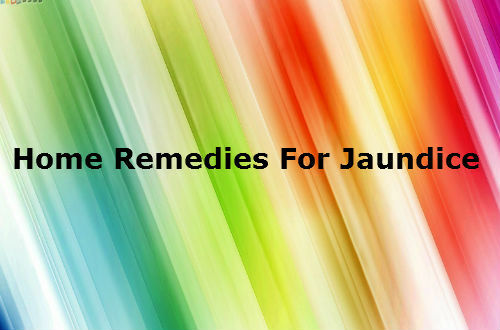 Since jaundice results due to a variety of reasons different medications are available. For jaundice caused by anaemia, iron supplements are provided to the patients. Sometimes hepatitis may cause jaundice so anti viral medicines are administered to the patients. In case of blockages surgery is made and in those resulting from medical implications such as side effects of certain side effects the doctors reverse of provide an antidote the jaundice. The big roots include radish. It cures the pains created in the abdominal cavity and increases the feeling of hunger. Either the leaves of the radish plant or the radish root can be used to make a juice. Doctors recommend to drink this juice for a period of ten days. Tomato are good for livers. They can be either eaten or can be drunk as a juice. Tomato juice can be seasoned by salt and pepper. It prevents liver damage and supports liver recovery. The leaves of both coriander and snake gourds are boiled in water separately until the water in both bowls reduces to one third of the original level. They can be mixed and drunk thrice every day. The combination of these super foods must be soaked in water overnight. In the morning the almonds must be peeled and they may be eaten. Toor dal are also known as pigeon peas. The leaves of this plant may be boiled in water and drunk every day. There is no other medicine as effective as pigeon pea leaves when it comes to treating jaundice. Sugarcane juice is an excellent remedy to treat jaundice. Drinking a cup of this juice thrice helps to eradicate the complication. Freshly made sugar cane juice is better and it is advised to prepare it at home. Drinking a cup of lemon water every day helps to protect the liver. This juice must not be mixed with sugar as it is unhealthy. Try adding a teaspoon of salt. The leaves are mixed with water and boiled. After it is cooled it is then filtered and strained. It is then drunk. It relieves us from jaundice. It is an another popular natural ingredient used to cure jaundice. The barley is boiled in water and allowed to cool for about two hours. It is then drunk everyday for desired effects. This not only improves liver condition but also provides an instant relief from jaundice. Drinking a cup of water mixed with turmeric is good for the health. Papaya too has a twofold work of protecting the liver and curing jaundice. Papaya leaves are made into a paste with drops of water and consumed. It produces the same effects as papaya fruit. As the name goes this is used extensively in treating jaundice. Drinking the juice or extract of this every day helps to get an instant relief from jaundice. The extract or juice of ginger must be added with lime juice or peppermint juice or both and must be consumed everyday to get an instant relief from jaundice. A cup of buttermilk can be added with cumin seeds and a pinch of salt. This drink can be consumed every day to help in the proper digestion and in the proper functioning of liver. Also known as gooseberries, these are an effective cure for the treatment of jaundice. It can be either eaten as such as can be consumed as a drink.